I don’t know what I love more about watching big sports events. The actual games or the food you get to eat while watching them! It’s a tie for me because I love pretty much all sports and you know I love to eat too. Having friends and family over to watch games is always a treat for me. There is nothing better than spending quality time with loved ones. Anytime I have them over to watch sports games I inevitably make a queso dip. I’ll usually vary it up by using different cheeses but queso always plays a part in my game day party. 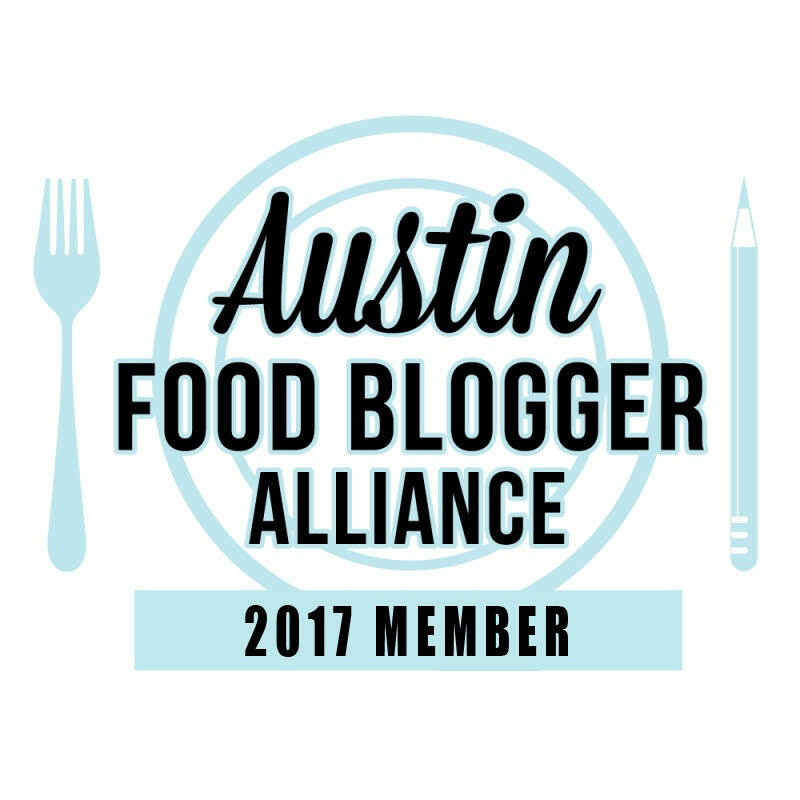 Queso Fundido is one of my favorite ways to have it. It’s a traditional Mexican cheese dip that uses your favorite Mexican cheeses with chorizo and your favorite toppings. When I was shopping at Walmart getting the kids favorite snacks, Delimex Taquitos and Rolled Tacos, I was trying to think of a way to incorporate my favorite cheeses with these tasty little tacos and Taquitos. At first I was going to dip them in the Queso Fundido but then talking with some coworkers the idea came to melt the cheese on top of these little rolled bites of goodness. Adding some diced tomatoes and green chilies just put them over the top. No need for chorizo or chips as the Taquitos and Rolled Tacos have everything in them already! 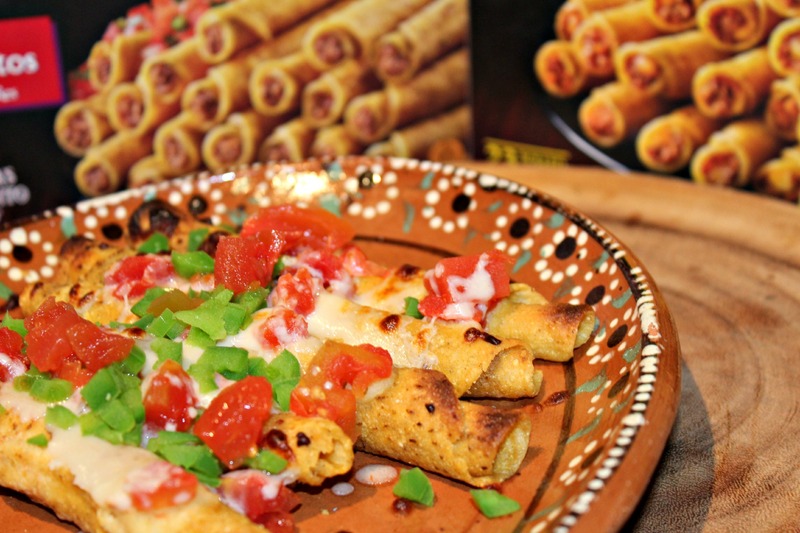 These Queso Fundido Taquitos are perfect for your get together. And Delimex has a coupon for you to use on your next purchase! 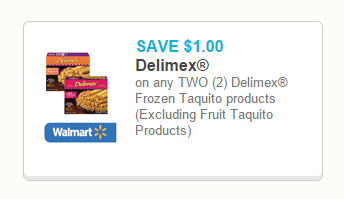 Get your $1 off on any TWO (2) Delimex® Frozen Taquito products (Excluding Fruit Taquito Products) to use at Walmart here or click the photo below. 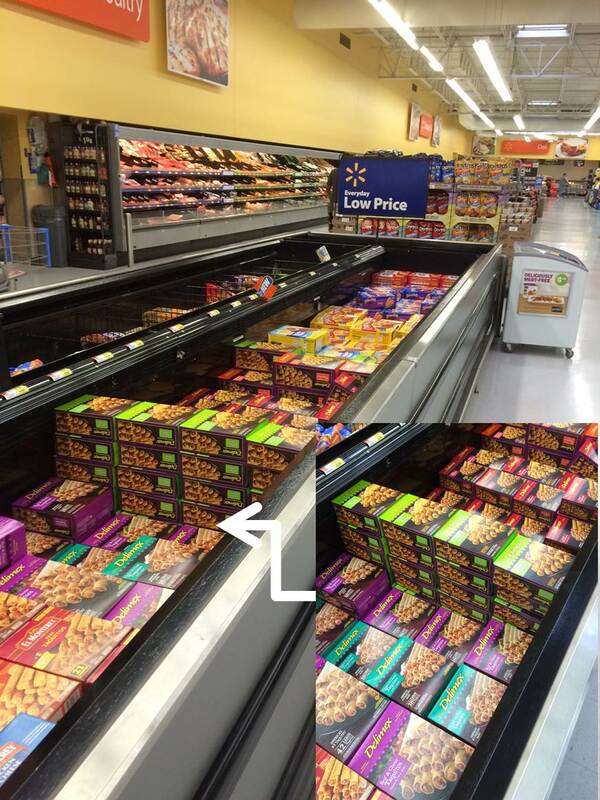 The coupon is valid from March 9th, 2015 through April 7th, 2015. You can also learn more about these favorite treats at our home at DelimexFiesta.com. 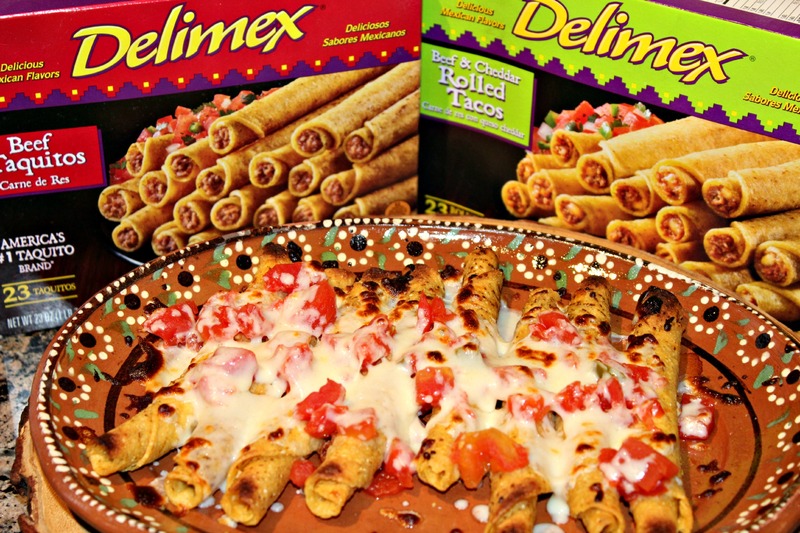 Bake Taquitos and Rolled Tacos according to box instructions. Once cooked, preheat oven to broil. 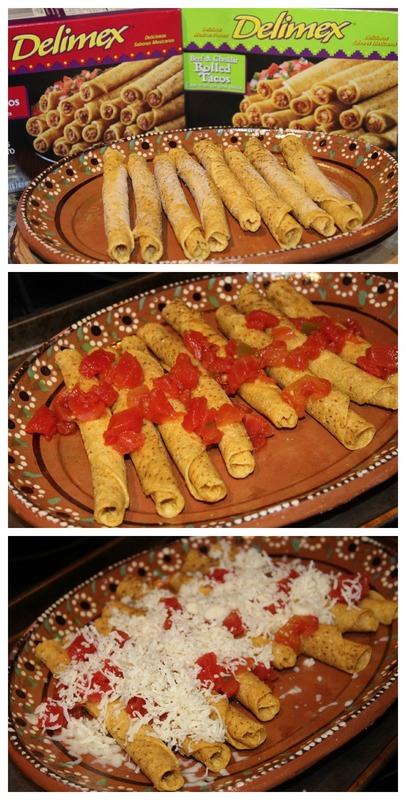 Top Taquitos and Rolled Tacos with diced tomatoes and shredded cheese. Place in oven until cheese melts, about 1 1/2-2 minutes. Spray a sauté pan with cooking spray. Add bell pepper and sauté for about 3-5 minutes. Place peppers on top of Taquitos and Rolled Tacos.